Barnett worked in Sydney between 1895 and 1898 having set up Falk Studios which specialised in society and theatrical portraits. He had trained in Melbourne, then worked in Hobart and overseas before moving to Sydney. He was a contemporary of Charles Kerry, although their careers could not have been more different as Kerry focused on the Views trade and Barnett on celebrity portraiture and elegant productions. Barnett was clearly an erudite entrepreneur, being involved in early cinema, including bringing Marius Sestier, an agent for the Lumière Brothers in France, to Australia in 1896 to shoot the first moving footage in the country. Barnett departed for London in 1898 where he set up a fashionable studio in Hyde Park which he operated for more than 20 years. In 1899 he became the only Australian to join The Linked Ring Brotherhood, a group formed by the radical photographers of the day who promoted photography as an art. By 1903 Barnett was the only professional photographer to be elected to the council of the Royal Photographic Society. The portrait of Lady Charlotte Russell is typical of Barnett’s high-society portraiture. Posed to show off her court dress, Lady Charlotte leans against a table on which there are books and flowers. The soft-focus image is made lustrous through platinum printing and brown toning. While the production values have a similar effect to Cazneaux’s ‘Meditation (Gracie Macbeth)’, this is not a work of allegory but one of display and status. 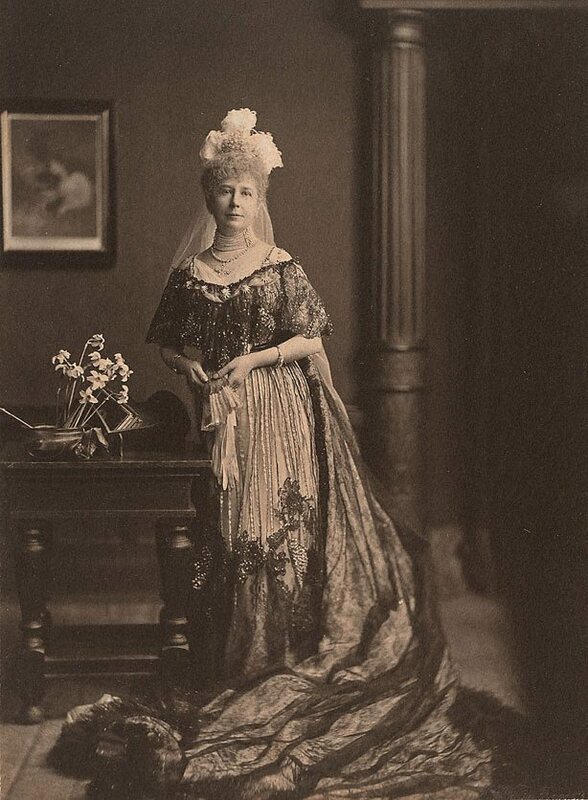 Lady Charlotte’s dress was designed by Charles Frederick Worth specifically for presentation at the Court of Queen Alexandra and King Edward VII. Lady Charlotte was married to Sir Peter Nicol Russell who was uncle of the painter John Peter Russell and brother of Thea Proctor’s grandmother, Christina Russell.